The consumer rights protection watchdog Rospotrebnadzor has proposed scrapping special offers on alcohol sales in Russian supermarkets. According to the watchdog, they encourage people to buy more liquor. “Discount coupons should be treated as any other advertising campaign and thus should be prohibited," said the head of Rospotrebnadzor Anna Popova. According to the author of a bill, Russian deputy Vladimir Sysoev, discounts encourage people to drink more. Another official, Sultan Khamzaev, added internet alcohol sales should be banned as well. Some experts doubt the measure will work, saying it will only increase illegal sales. "Among those who buy alcohol, five percent are alcoholics, and another 15 percent have problems with alcohol abuse. 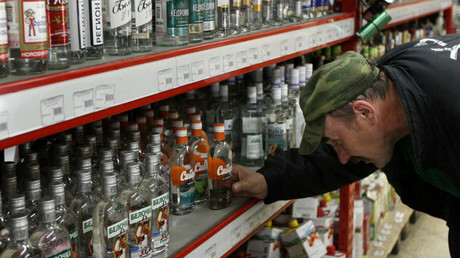 I am sure any such restrictions will make people buy in illegal retail outlets," alcohol market expert Vadim Drobiz told RT. 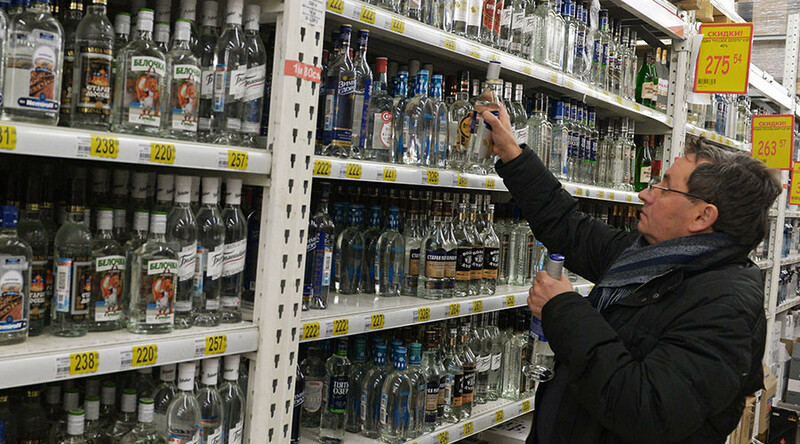 Russia has controlled vodka prices since 2009. The law doesn’t allow sales of vodka cheaper than 190 rubles (about $3.50) per half liter bottle. The Russian Finance Ministry has been fighting to raise the prices to collect more taxes, while the Economic Development Ministry has been for cutting the cost to tackle illegal alcohol. Other experts have said that if alcohol promotions are scrapped in Russia, people will turn to low-quality alcohol, including cheap alcohol-containing lotions and other surrogate spirits. In December, several dozen people died of alcohol poisoning in the Siberian city of Irkutsk. They drank a surrogate spirit which claimed to have contained ethanol but turned out to be methanol which is deadly. After the incident, President Vladimir Putin urged the government to significantly boost taxes on products containing alcohol to discourage people from drinking them as a cheaper alternative to liquor.